The Samsung Galaxy S10 and its brethren do not come with a notification LED, and apparently, users are sorely missing it. Apps like Holey Light and ARC Lighting have become quite popular as they provide an alternative to turn the area around the camera cutout on these devices into a notification LED, or at least mimic the functionality of one. Now, the official Samsung Good Lock app and the EdgeLighting+ plugin within it have been updated to mimic the functionality of these apps on the Galaxy S10. EdgeLighting+ plugin within Good Lock adds new effects over the options available in the standard Edge Lighting feature on Samsung’s flagships. The latest version of the plugin now comes with a new Eclipse effect which lights up the area around the display hole for the camera when you receive notifications or calls, thus mimicking the notification LED. The plugin lets you set the color of your choice (including a multicolor option) for the pulse and the duration of the pulse for this Eclipse effect. However, strangely enough, the Eclipse effect has similar limitations as Chainfire‘s open sourced Holey Light app. Eclipse effect works for all apps only when the screen is on. When the screen is off, it only works for incoming calls and certain preloaded apps. It is abundantly clear though that Samsung did not predict that users would be using the camera cutout so prominently, prefering to use it as a standout feature rather than completely hide it. 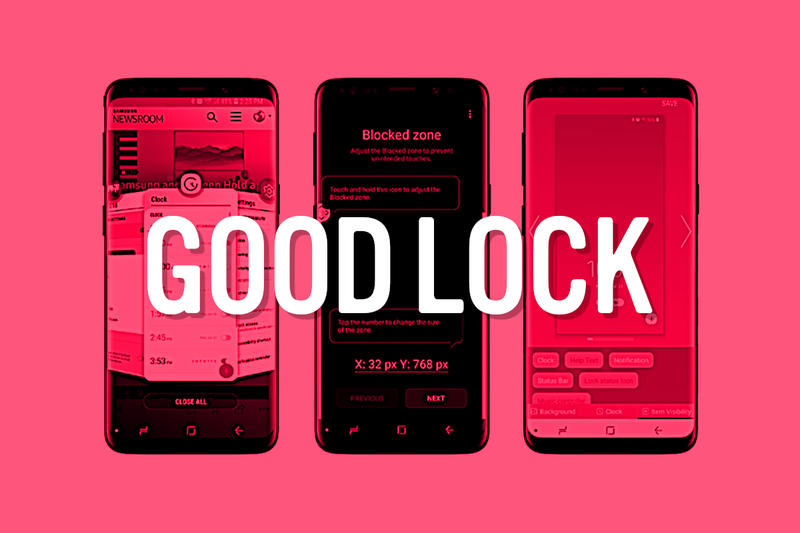 To use the feature on your Samsung Galaxy S10, install/update the Good Lock app from the Galaxy App Store, download the EdgeLighting+ plugin from within the Good Lock app, and then enable it. Good Lock was recently updated with support for One UI devices, so you should have no issues using it on the new Samsung Galaxy S10.